Transcription: Think it over. 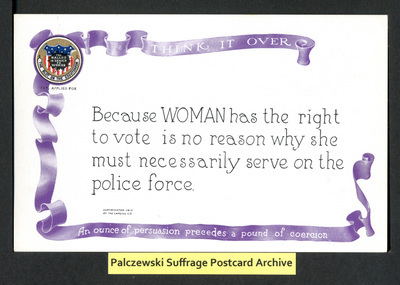 Because WOMAN has the right to vote is no reason why she must necessarily serve on the police force. An ounce of persuasion precedes a pound of coercion.